Two new important features have been added to the ”foundation” set that we launched the platform with – Activity and Analytics. Activity comes as a natural development due to the collaborative character of our platform. It is what most people are familiar with from the social media accounts: a history of the actions performed by all the account users. It allows you to trace down who made what changes to the cash plan categories and transactions. Why is it important? Because no matter how good your memory is, you probably won’t be able to remember all the modifications that happened in the last few months (and you shouldn’t fill your memory with that kind of information). However, you may need to look back and understand why and when something was altered, what value was added and when, in order to assess future actions. Analytics translates into a quick overview of the cash plan. It is an easier way to analyze the cash flow in-depth. The values from each cash plan are summed up and translated into graphics that offer a general perspective on what happens to the company cash within a specific timeframe. 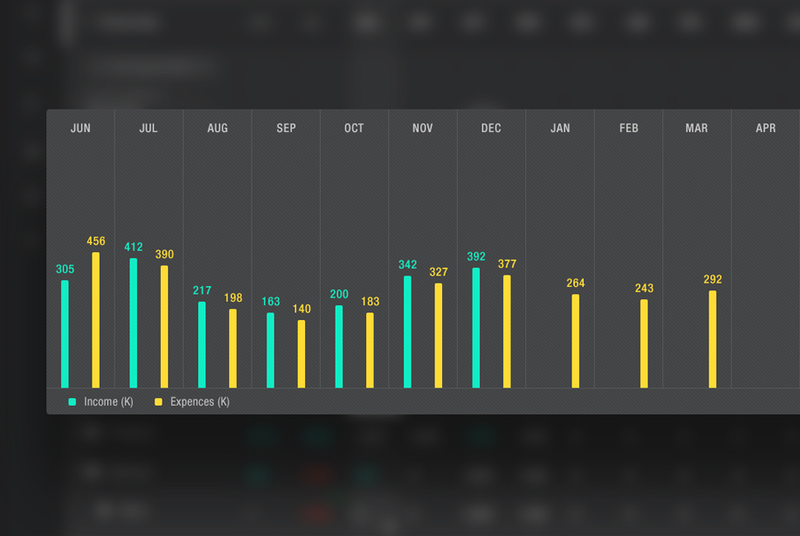 Cash Flow Summary lets you compare monthly income and expenses and follow the evolution of profit. You can also visualize the Income/ Expense Structure per Category, to get an idea where most money comes from and which is the proportion of your costs. It helps to understand how to become more cost-effective. Income/ Expense Variation per Category are charts that offer a detailed view over the monthly cash fluctuation, to see which revenue/ cost categories vary and how. It serves to identify trends, so you can better plan future budgets and activities. Income/ Expense Drilldown is an in-depth analysis of all the transactions you entered in the cash plan within the chosen timeframe. You can see the proportion of income/expense categories and subcategories in the total amount as in detail as you entered them in the cash plan. The secret to making the most of these new features is to have enough relevant data to work with. So don’t wait long before filling in the cash plan and getting into cash flow forecasting.